CEG's main objectives are to educate, encourage growth and high standards; predicting that more then 75% of all mortgages in Canada will be through mortgage brokers. Mission is to lead the way in raising client awareness and quality within the industry. 1 links pointing to Canequity.ca were found. Individual words like Mortgage, Application, Commercial and Apply are frequently used in text links from other websites. The most important links to the website are from Propertyguys.com and Canequity.com. The sites /SECURE/shortapp.pl and /SECURE/application.cgi?P=PG are frequently referenced by external sources. The table shows the most important links to Canequity.ca. The table is sorted in descending order by importance. The table shows websites of Canequity.ca, which are often linked by other websites and therefore they are classified as important content. The web server used by Canequity.ca is run by Shaw Communications and located in Canada. This web server runs 4 other websites, their language is mostly english. 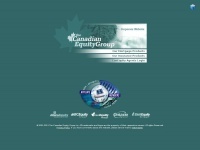 The Canequity.ca websites were developed using the programming language ASP.NET and served by a Microsoft-IIS server. HTML 4.0 Transitional is used as markup language on the webpages. Indexing the data of the website and following hyperlinks on it is explicitly allowed by robot information.